In 2001, renowned New York designer Donna Karan, drawing inspiration from her world travels, translated her sophisticated, clean style into Donna Karan Home. 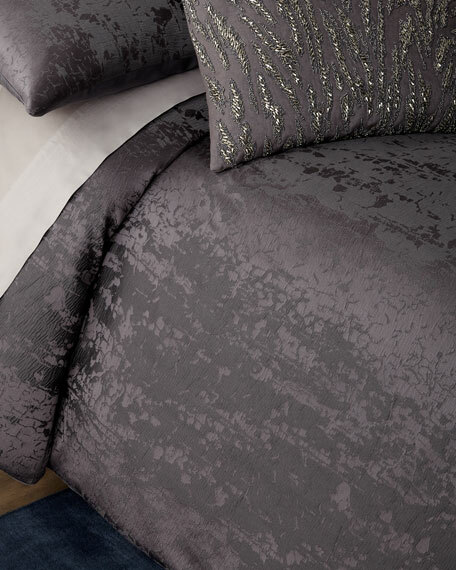 With a focus on luxury and couture details, the Donna Karan Home collection puts the iconic designer's touch on a beautiful range of options, from tableware to bed linens and more. 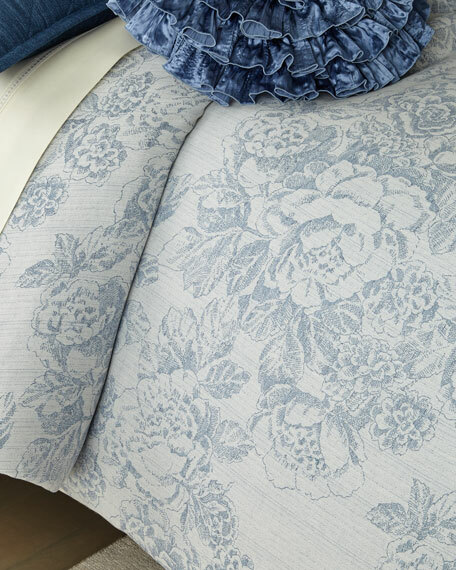 Look for touches such as hand embroidery, exceptional attention to detail, and fine fabrics including silk, velvet, and textured cotton. 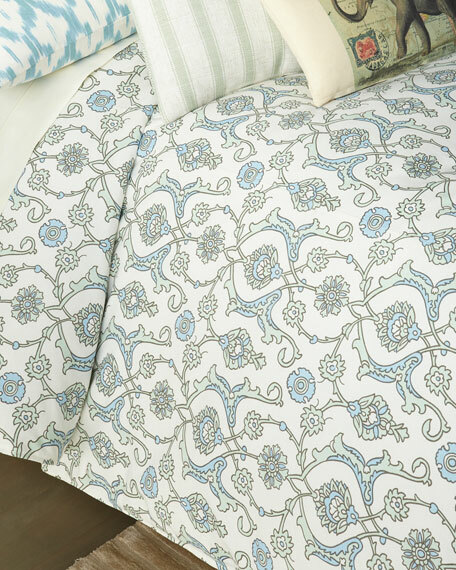 Three-piece set includes one duvet and two shams. 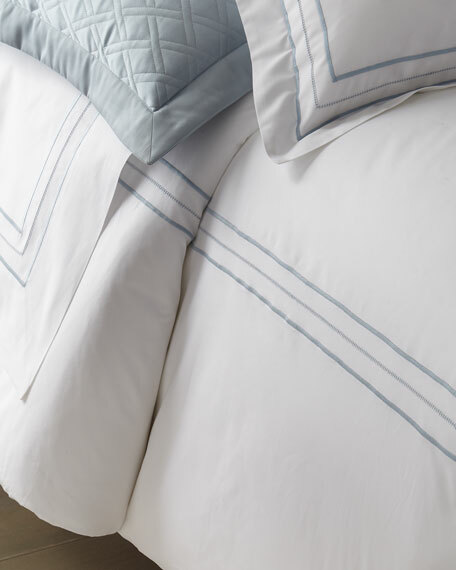 500-thread count Egyptian cotton percale woven in Italy. Duvet, 106" x 92". Shams, 20" x 36". Machine wash.Made in the USA of Italian materials.